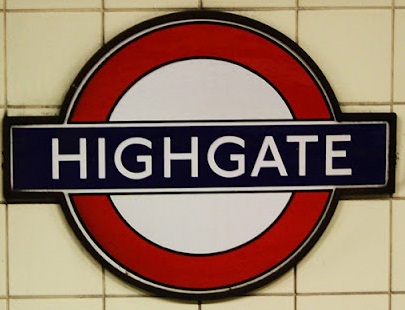 Highgate. From very early times tolls were collected from travellers who used the Bishop of London's road across his park at Hornsey which then led to Finchley. This was at the High Gate (Le Heghgate recorded in 1354) which gave its name to the hamlet and later village at one of the highest points in London.